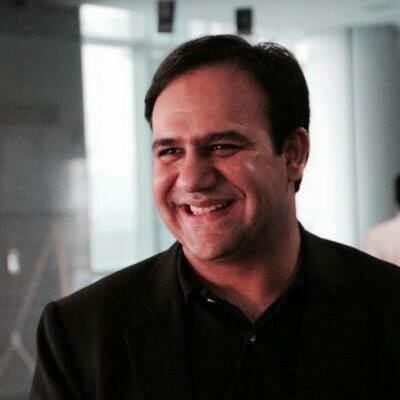 Lahore: Chairman Punjab Information Technology Board and Vice Chancellor of IT University Lahore Dr. Umar Saif, is among those who will receive “Sitara-e-Imtiaz” from Government of Pakistan on Monday 23rd March. A world renowned computer scientist, educationist, innovator and entrepreneur, Dr. Saif won this honour on behalf of his work by using ICT solutions for publicproblems and creating IT ecosystem in Pakistan. Educated from Aitchison College, LUMS and Cambridge University UK, he introduced low cost smart-phones and modern IT tools that had transformative impact in Pakistan. In Philippines last year, the World Bank President highlighted his work as one of three global examples of good governance innovations in his speech on governance reforms. To his honor, Saif also received Microsoft Research (MSR) Digital Inclusion Award, Google Faculty Research Award, the MIT Technovator Award, ACM CHI Best Paper Award and many other global fellowships. He was named as Young Global Leader by the World Economic Forum in 2010. The MIT Technology Review listed his name among world’s top 35 young innovators who are radically transforming technology. By featuring in this list, Saif now joins an elite group of researchers and technologists including the likes of Google’s Sergey Brin and Facebook’s Mark Zuckerberg.But hisSitara-i-Imtiaz (Star of Excellence), one of the highest civilian awards of the country, is recognition for his services he rendered to his people. Like other top achievers, Dr. Umar Saif could crave his world of opportunities anywhere in the world, but he preferred to serve his people showing his deep love and commitment to Pakistan. He reflected his devotions and passion virtually in form of excellent services he rendered to alleviate corruption, illiteracy, disease, poverty, hunger, lawlessness and terrorism by using modern technology. His journey of success is getting impetus day by day as he is striving restlessly to improve the performance of all government departments empowering them with tech culture and capacity building by taking several initiatives such as by automating all government businesses, leading development of Punjab Innovation Policy in collaboration with Google Inc., launching Pakistan’s first public-sector startup incubator Plan9, designing multiple smart phone applications, developing an innovative model for fighting corruption using technology, and introducing Pakistan’s first e-learning platform for next generations-our real future.